Were Hedge Funds Right About Dumping PNC Financial Services Group Inc. (PNC)? “Market volatility has picked up again over the past few weeks. Headlines highlight risks regarding interest rates, the Fed, China, house prices, auto sales, trade wars, and more. Uncertainty abounds. But doesn’t it always? I have no view on whether the recent volatility will continue for a while, or whether the market will be back at all-time highs before we know it. I remain focused on preserving and growing our capital, and continue to believe that the best way to do so is via a value-driven, concentrated, patient approach. 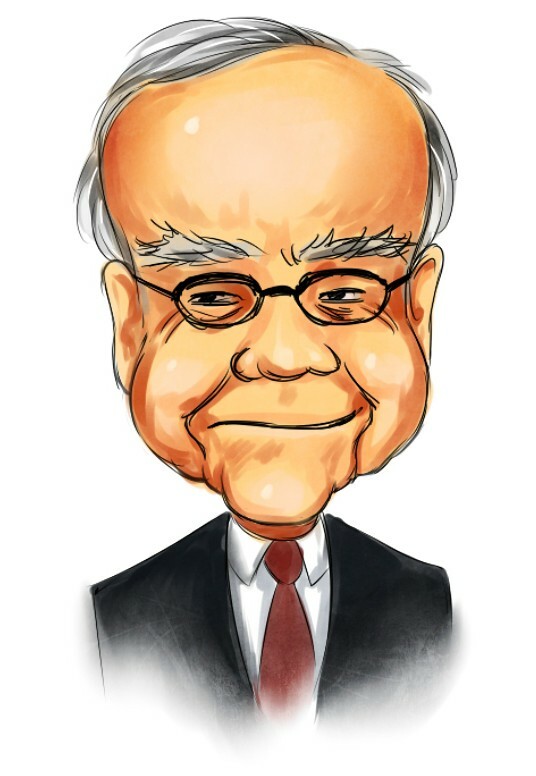 I shun consensus holdings, rich valuations, and market fads, in favor of solid, yet frequently off-the-beaten-path, businesses run by excellent, aligned management teams, purchased at deep discounts to intrinsic value,” are the words of Maran Capital’s Dan Roller. His stock picks have been beating the S&P 500 Index handily. We pay attention to what hedge funds are doing in a particular stock before considering a potential investment because it works for us. So let’s take a glance at the smart money sentiment towards PNC Financial Services Group Inc. (NYSE:PNC) and see how it was affected. Is PNC Financial Services Group Inc. (NYSE:PNC) a healthy stock for your portfolio? The best stock pickers are in a bearish mood. The number of long hedge fund bets dropped by 2 in recent months. Our calculations also showed that PNC isn’t among the 30 most popular stocks among hedge funds. PNC was in 38 hedge funds’ portfolios at the end of the fourth quarter of 2018. There were 40 hedge funds in our database with PNC positions at the end of the previous quarter. In the 21st century investor’s toolkit there are dozens of gauges shareholders can use to size up their stock investments. A duo of the best gauges are hedge fund and insider trading sentiment. Our experts have shown that, historically, those who follow the best picks of the best hedge fund managers can outclass the market by a superb margin (see the details here). Let’s take a look at the latest hedge fund action regarding PNC Financial Services Group Inc. (NYSE:PNC). What does the smart money think about PNC Financial Services Group Inc. (NYSE:PNC)? At the end of the fourth quarter, a total of 38 of the hedge funds tracked by Insider Monkey were bullish on this stock, a change of -5% from the previous quarter. 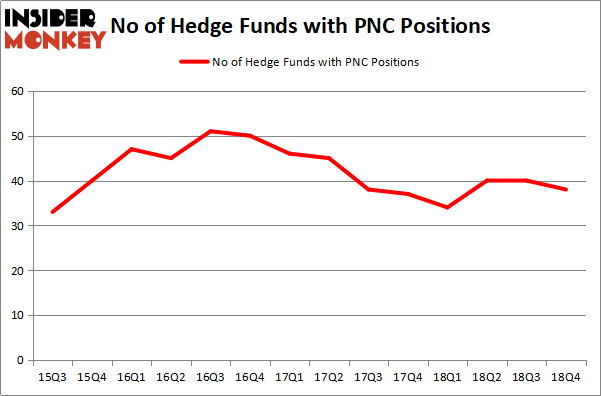 The graph below displays the number of hedge funds with bullish position in PNC over the last 14 quarters. So, let’s find out which hedge funds were among the top holders of the stock and which hedge funds were making big moves. The largest stake in PNC Financial Services Group Inc. (NYSE:PNC) was held by Berkshire Hathaway, which reported holding $966 million worth of stock at the end of September. It was followed by Arrowstreet Capital with a $267.2 million position. Other investors bullish on the company included Citadel Investment Group, Diamond Hill Capital, and AQR Capital Management. Judging by the fact that PNC Financial Services Group Inc. (NYSE:PNC) has witnessed falling interest from the aggregate hedge fund industry, it’s easy to see that there lies a certain “tier” of fund managers that decided to sell off their positions entirely by the end of the third quarter. Intriguingly, Martin Whitman’s Third Avenue Management dropped the biggest stake of the 700 funds tracked by Insider Monkey, valued at close to $61.8 million in stock. Kevin D. Eng’s fund, Columbus Hill Capital Management, also dropped its stock, about $16.5 million worth. These transactions are important to note, as aggregate hedge fund interest dropped by 2 funds by the end of the third quarter. Let’s go over hedge fund activity in other stocks similar to PNC Financial Services Group Inc. (NYSE:PNC). We will take a look at Enterprise Products Partners L.P. (NYSE:EPD), Shire PLC (NASDAQ:SHPG), The Kraft Heinz Company (NASDAQ:KHC), and CSX Corporation (NASDAQ:CSX). This group of stocks’ market caps match PNC’s market cap. As you can see these stocks had an average of 42.75 hedge funds with bullish positions and the average amount invested in these stocks was $6430 million. That figure was $2162 million in PNC’s case. Shire PLC (NASDAQ:SHPG) is the most popular stock in this table. On the other hand Enterprise Products Partners L.P. (NYSE:EPD) is the least popular one with only 25 bullish hedge fund positions. PNC Financial Services Group Inc. (NYSE:PNC) is not the least popular stock in this group but hedge fund interest is still below average. This is a slightly negative signal and we’d rather spend our time researching stocks that hedge funds are piling on. Our calculations showed that top 15 most popular stocks among hedge funds returned 19.7% through March 15th and outperformed the S&P 500 ETF (SPY) by 6.6 percentage points. Unfortunately PNC wasn’t in this group. Hedge funds that bet on PNC were disappointed as the stock returned 12.0% and underperformed the market. If you are interested in investing in large cap stocks, you should check out the top 15 hedge fund stocks as 13 of these outperformed the market. Itau Unibanco Holding SA (ITUB): Are Hedge Funds Right About This Stock? Hedge Funds Have Never Been This Bullish On Thermo Fisher Scientific Inc. (... Were Hedge Funds Right About Buying United Technologies Corporation (UTX)? Were Hedge Funds Right About Buying Costco Wholesale Corporation (COST)? Were Hedge Funds Right About Dumping Twenty-First Century Fox Inc (FOX)? Do Hedge Funds Love Diageo plc (DEO)?